If you have ever had a kidney infection, then you are already well-aware of the pain and burning it can cause. Pyelonephritis, your doctor’s term for a kidney infection, is caused by a bacterial infection that goes from the urinary tract, up to the bladder, finally reaching the kidneys. 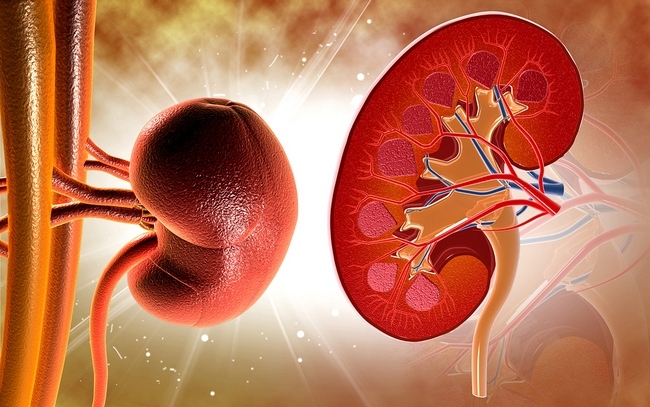 Sometimes it’s only one kidney, but it can affect both kidneys. Women have a higher risk of kidney infection due to their shorter urinary tract systems, and pregnant women are especially vulnerable. Other factors that can increase your risk of developing kidney infections including HIV, certain treatments’ side effects, kidney stones, diabetes or a weakened immune system. Typical symptoms of a kidney infection include a dull ache in the side or lower back where the kidneys are located, nausea, a burning sensation when urinating, pain when urinating, vomiting, fever, an urgent need to urinate, urinating frequently and pain directly above the public bone. If not treated quickly, kidney infections can lead to permanent damage or other serious complications. You should consult a doctor for proper diagnosis and treatment. 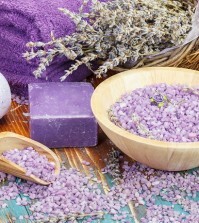 We have a list of 12 of the best ways to reduce the painful symptoms and encourage healing. You might think that taking pain relievers might be the answer to your pain, but actually over-the-counter pain relievers such as ibuprofen, naproxen, aspirin — even acetaminophen — are very, very hard on the kidneys. Studies show that heavy use of pain relievers greatly increases your risk of developing kidney cancer. Keep reading: We have a few methods that can help to ease the pain while your kidneys are healing. Simply increasing your fluid intake when you have a kidney infection can reduce the pain and other symptoms while encouraging quick recovery. Extra fluids will flush waste, toxic compounds and bacteria from your kidneys, allowing them to heal faster. Be sure you are drinking a minimum of eight glasses of water each day, along with some herbal teas. You might want to add some lemon juice to your water. Avoid alcohol and coffee until the infection has disappeared. Add more of these to your diet, and kiss those infections goodbye! 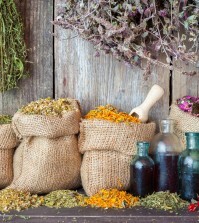 Read also about herbs that support kidney health.